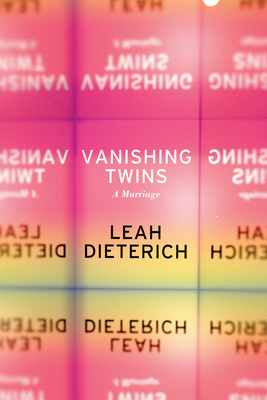 For as long as she can remember, Leah has had the mysterious feeling that she's been searching for a twin--that she should be part of an intimate pair. It begins with dance partners as she studies ballet growing up; continues with her attractions to girlfriends in college; and leads her, finally, to Eric, whom she moves across the country for and marries. But her steadfast, monogamous relationship leaves her with questions about her sexuality and her identity, so she and her husband decide to try an open marriage. Leah Dieterich's essays and short fiction have been published by Buzzfeed, BOMB, The Nervous Breakdown, and The Offing. She lives in Portland, Oregon, and Los Angeles, California, with her husband and daughter.